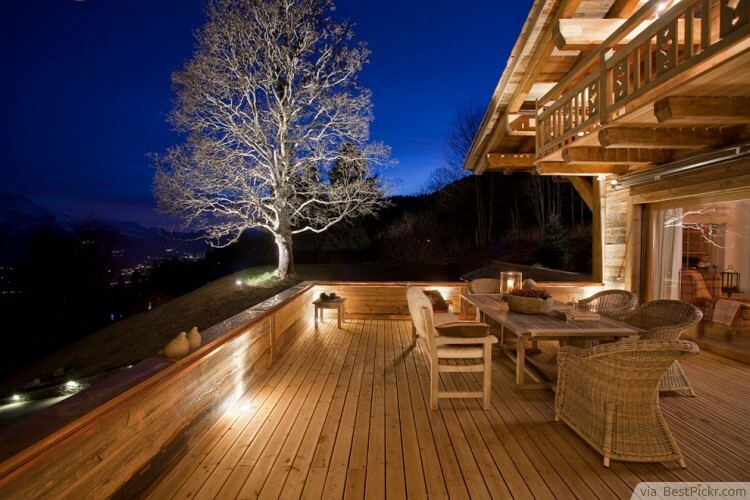 Among cheap patio ideas is designing with light neutral colors to establish a bright ambiance. Adding under-the-rails lighting will emphasize the eclectic theme. If you want to add a twist, color an accent tree with white paint and install a spotlight below it, the glow coming from it will make the whole area unique.